The grave of Robert Ian Wallace-Bateman in Heath Lane cemetery is possibly from military service, but it has not yet been possible to find out further information. 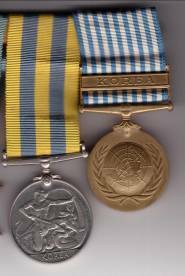 However, there were local fatalities in Malaya and service in Korea during the 1950s. The Hemel Hempstead War Memorial contains the names of two local deaths: L.G. Killick and J.A. Secrett. The porch at St John the Baptist, Great Gaddesden contains a stone tablet remembering Major John Harold Proctor who was killed in Malaya on 25th August 1950. 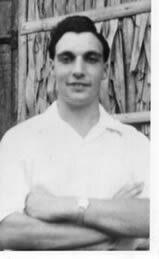 Former Hemel Hempstead Grammar School pupil, Lionel Killick, was killed in Malaya in May 1951 in a jungle skirmish. The information below was provided by Ernie Guest (interviewed by Fay Breed, Maeve McLaughlin and Rosie Hoskins in February 2011) who served with Lionel in Malaya. Both Ernie and Lionel had been called up for National Service. 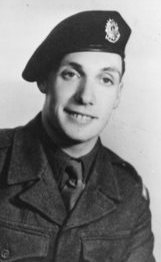 Lionel was killed in action in a jungle skirmish in Malaya in May 1951. 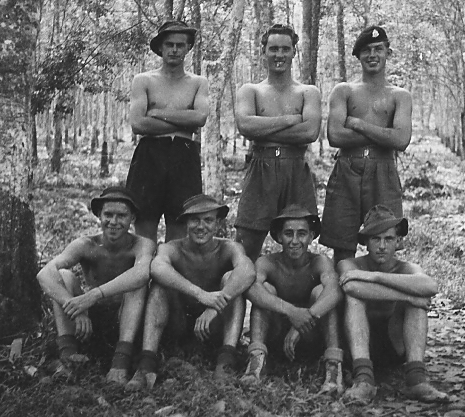 On that day there were only 8 men on Lionel’s patrol plus 2 Iban trackers from Borneo who were not armed. They were on their way back from a 3 day patrol when, at about 10 in the morning, they bumped into a large unit of about 30-50 communists. In the opening fire the sergeant in charge of the unit was badly wounded and so was Lionel. He had been carrying the Bren gun. A rescue operation was (eventually) underway, including myself. I was escorting the stretcher party. The unit was about an hour from the road through thick jungle and undergrowth. The sergeant was moved out very quickly but the medics took an hour or 2 to try to stabilise Lionel before they could move him. It took an hour or 2 to move back to the road. Lionel was taken to hospital but died the next day from gunshot wounds. He was 19. Two other men were also wounded, one in the arm and one in the leg, so it didn’t leave many of them to fight back. But they stood their ground, took cover and fought off the enemy for well over 1½ hours. They couldn’t open their radio because you had to string a long wire between the trees and they were constantly under fire. So one of the men, ‘Daddy’ Knights, volunteered to take the sergeant’s compass and try to get to the road to summon help. This was a very courageous thing to do as the last thing anyone wanted was be alone in the jungle and he would be alone and surrounded by communists. But he made a run for it and was successful in evading them and managed to reach the road. We were all very close and [Lionel's] death had a profound effect on morale for some time afterwards. Back row from left, Pte. ‘Tito’ Burns, Pte. ‘Daddy’ Knights, Cpl. Bill Price DCM. Front row sitting from left, Pte. ‘Nobby’ Perry, Pte. Fuggles, Pte. ‘Poppsy’ Ellis, and Pte. Clapp. ...at least three of whom I know were actually with Lionel in the action where he was fatally wounded. 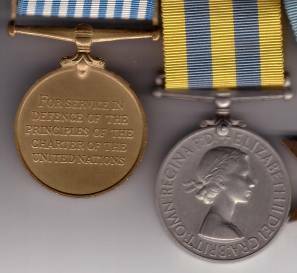 Knights was the one that ran the gauntlet on his own to the road to summon help, Ellis was wounded in the arm, and Price took command from the badly wounded sergeant, and he was immediately promoted to full corporal and then awarded the DCM. Read more from Ernie Guest here plus the recollections of Lionel's brother, Ray. Lionel is commemorated on a plaque dedicated at The Hemel Hempstead School on 11th November 2011. 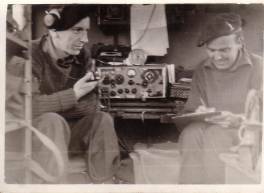 Details of Frederick Robert Foskett’s Second World War service are here. 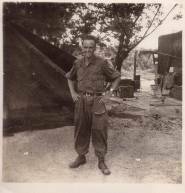 As a regular soldier he remained in the army after the war, going on to serve in Korea.